My first official writing job was working for the local paper when I was in twelfth grade. For years I’d tried submitting my novels for publication, but the powers that be weren’t interested in young, unknown writers. Knowing I needed to make some money and hoping I could build a platform, I started sending short stories to literary magazines like the New Yorker. Cue the rejection slips. So I called up the local paper and they were willing to take a chance on me as a freelancer. I wrote about whatever they sent me to cover, which, in a rural community, was usually pretty low-key, like covering tractor pulls. I found a newspaper distributed around the state that was a little more artsy and reached out to them. They were in need of writers and saw I’d already done professional work. While freelancing for them, I asked if I could interview anime voice over actors, and they said yes. At this time I was working two other part-time jobs, trying to make ends meet. I took the anime voice actor interviews I did and sent them to Anime Insider, a glossy anime magazine. The head editor there liked my writing and I began freelancing for them as well. As the years went on, I freelanced more and more until it got to the point I could stop working my part-time jobs. The best luck I had was taking something I’d already written and sending it to another magazine (or website, or whatever) that wrote something similar. Most places never wrote back. A few did after I sent a couple polite reminder emails, asking if they’d gotten my previous email. My emails would be short, respectful and to the point; I would include a few sample articles and a link to the website I had created for myself. I'm a writer at MTV who has a special niche in writing about and reviewing graphic novels. In addition to MTV, I've written about this subject for CNN, Publishers Weekly, Booklist and other places. All told, I've sold more than a thousand articles to more than fifty publications. I was wondering if I could contribute any freelance articles or reviews on graphic novels to [Name]. Thank you for your time, and please let me know if you have any questions. Writing about anime led to jobs covering manga at Graphic Novel Reporter, Booklist and Publishers Weekly. I tried to get into MTV for a few years because of my interest in writing YA books, and no one ever got back to me. Then I saw an MTV editor who covered comic books had mutual friends on Facebook. I sent him a polite message, not expecting to hear back . . . and was shocked when he wrote back and was willing to take a look at my stuff and give me a chance. MTV turned out to be the only place where I got hired on-staff as a writer. None of this stopped my freelancing. The more I freelanced, the more places were willing to give me a chance (though I want to stress that most places either didn’t respond or said they had their full roster of writers and to check back later). A PR person in comic books I met suggested I reach out to someone at the A.V. Club (The Onion) after reading my articles and gave me the contact information, though I still had to pitch on my own. A recommendation through a mutual acquaintance got me into CNN. However, recommendations only got me into a few places; most of the time, it was figuratively knocking on the door myself that did it. Writing all these articles helped pay my bills and build me a platform. All my work on manga ended up getting me to sign my first book contract for Manga Art for Beginners, a how-to-draw guide on manga-style drawing with more steps than your average how-to-draw book. 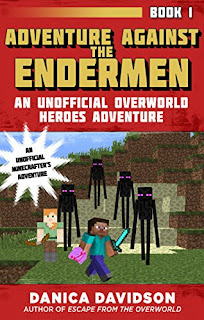 After that, I sold my first Minecrafter series (adventure novels for kids that take place as if Minecraft is real): Escape from the Overworld, Attack on the Overworld, The Rise of Herobrine, Down into the Nether, The Armies of Herobrine and Battle with the Wither. I wrote a Barbie graphic novel called Barbie: Puppy Party, and a Tales from the Crypt comic called “Picture Perfect.” Manga Art for Intermediates comes out next year, and my Minecrafter spinoff series (same main characters, different villains and adventures) starts coming out today with the book Adventure Against the Endermen. Freelancing isn’t easy, but I kept at it because I knew what I wanted to do and I knew it wouldn’t be simple. I’ve sold thousands of articles, and this led me to where I am today as a writer. 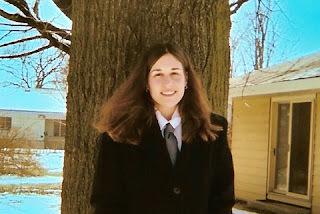 Danica Davidson is a novelist and journalist. She's published thousands of articles at such places as MTV, The Onion, CNN, Publishers Weekly, the Los Angeles Times and Ms. Her work at MTV earned her a Webby honor with a small group of writers for Best Youth Writing. She is represented by the James Fitzgerald Agency. She is the author of the Overworld Adventures book series for Minecrafters, with the books Escape from the Overworld, Attack on the Overworld, The Rise of Herobrine, Down into the Nether, a The Armies of Herobrine and the newly released Battle with the Wither. She is also the author of Manga Art for Beginners and Barbie: Puppy Party. After discovering a portal to Earth and battling the evil Herobrine and his army of vicious mobs, Steve and his friends are known throughout the Overworld as heroes. Stevie’s enjoying the attention—that is, until he tries to show off and instead falls down a mineshaft. At the bottom of the mineshaft, Stevie finds an Ender crystal with mysterious powers. Soon the group of friends—now an Overworld task force—are caught up in a battle larger than any they could have imagined. Can they protect the world of Minecraft from Endermen—and the larger threat of the crystal?